Whether you're trying to gain more clients or focus on your specialty, Roya has the web solutions you need to shine a spotlight on your legal firm. Our legal websites are user-friendly and uniquely designed to convert leads to clients. 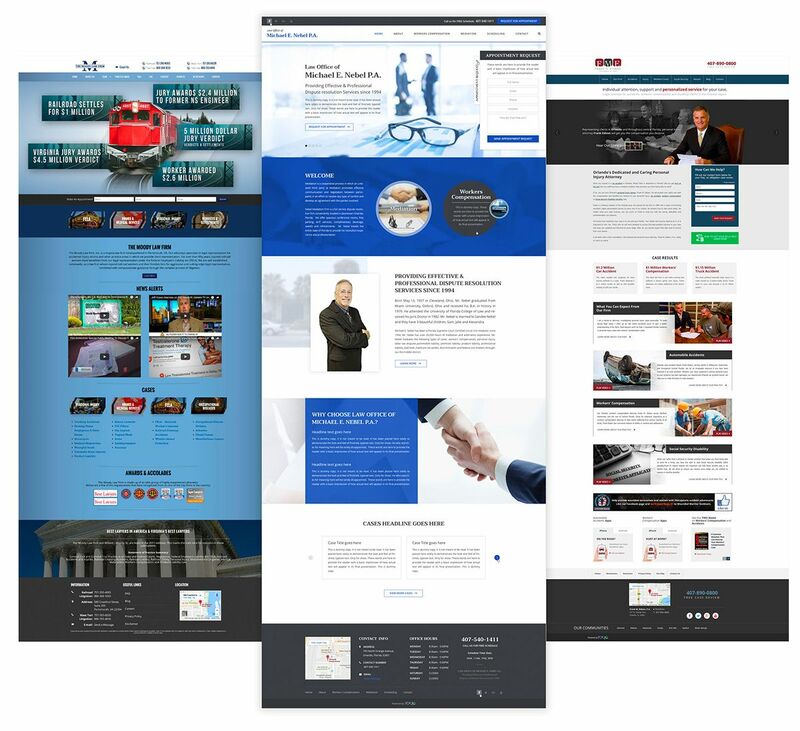 At Roya, we understand law firm websites need to be different than - say, coffee shops. That's why our legal websites have built-in and easy-to-use interfaces for your office to obtain and manage client leads. That way, you can focus on what really matters - winning cases. When people search for law firms online, they’re looking for answers to not-so-easy questions. With our legal websites, we curate relevant content about your law firm. Our legal websites are specifically designed with the user’s experience in mind, so people leave your website ready to take action. How often do you make Google searches on-the-go from a mobile device or tablet? If you’re like most people, you make more searches from your smartphone than your desktop. All of our websites are mobile responsive, so they’ll look smart and professional no matter your screen's size. Our marketing solutions will help your website gain traction and bring in new clients. Each and every law firm we work with has unique needs. We tailor our marketing strategies specific to your legal practice, and we collect data to continually improve your website along the way. Thoughtfully crafted website solutions according to your needs, uniquely built just for you! Take the first step in letting Roya help you reach your web-related goals.